how to determine if two lines are parallel when given their slopes. how to determine if two lines are perpendicular when given their slopes. how to find the equation of a line given a point on the line and a line that is parallel to it. how to find the equation of a line given a point on the line and a line that is perpendicular to it. 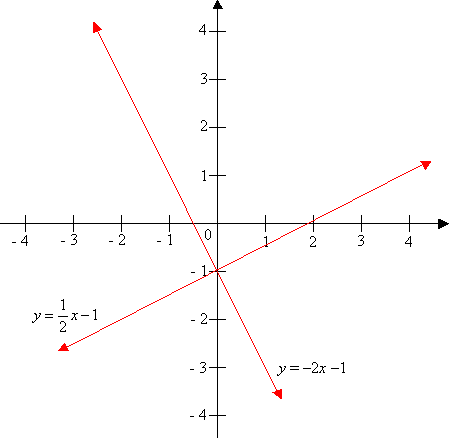 In Coordinate Geometry, two lines are parallel if their slopes (m) are equal. For example: The line is parallel to the line. Their slopes are both the same. 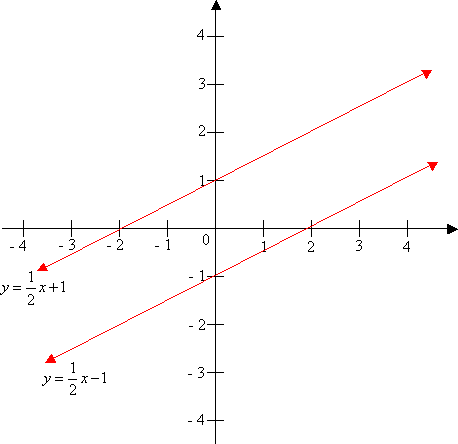 In the Coordinate Plane, two lines are perpendicular if the product of their slopes (m) is –1. The slopes are negative reciprocals of each other. How to determine whether a given pair of lines are parallel or perpendicular? The following video shows how write the equation of a line given a point on the line and a line that is parallel to it. This video involves equations of lines that are parallel or perpendicular to a given line, using slope-intercept (y = mx + b) form. How to find the equation of a line given a point on the line and a line that is parallel to it? How to find the equation of a line given a point on the line and a line that is perpendicular to it? 3. Find the slope-intercept form of the equation of a line that is parallel to the graphed line and that passes through the point plotted on the graph. The following video gives an example of how to find the equation of a line given a point on the line and a line that is perpendicular to it. Another method to find the equation of a parallel line would be to use the Standard Form of the equation. The following video shows how to find parallel lines using Standard Form. Another method to find the equation of a perpendicular line would be to use the Standard Form of the equation. The following video shows how to find perpendicular lines using Standard Form.